The Last 6 Weeks: Time to Go for It! 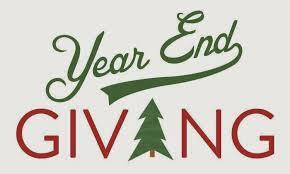 A large percentage of your annual giving happens in November and December. This is the most important time of the year for fundraising, and in many cases, it should be an “all hands on deck” activity. This is why so many nonprofits are in a frenzy of appeals, thank you calls, personal visits, proposals, VIP tours, holiday cards, emails, and even donor gifts. Every organization wants to be noticed and considered at the time people are most interested in giving. Sure there is a lot of competition for donor attention. Don’t shrink away. Get out there and be bold, courageous, and sure of yourself and your mission. General Donor Mail Appeals: Send 2-3 more. Have them arrive on 11/25, 12/14, and 12/27. Send to everyone who has made a gift(s) sometime in the last 20 months or has been added to your mailing list as a prospect. Include lapsed donors who have not given in the last 23-48 months in your 11/25 mailing. Have a compelling ASK tying the donor directly to the people you serve (it’s about them not you or your organization). Emails: Send one email ahead of each mailed appeal notifying donors to look for your letter. Email a “last chance” 12/28. Email your thanks for a great year on 12/30. Phone: Around 12/20 have staff, board, and volunteers to call donors who have given $300 or more during the year. Your purpose is to personally thank them for their partnership and wish them “happy holidays.” It’s also okay to leave a thank you message if they fail to answer. MAJOR DONOR Meetings: Try and meet face-to-face to ASK for a gift from every MAJOR DONOR who has not given at least $1000 during the year. Ask for a specific amount toward a specific need. Ask them for 20% more than they gave last year. Remind them how much they gave last year. Having a year-end special need and goal make these solicitations easier. If you can’t meet with them, mail or email a proposal and follow up by phone. Keep in mind that people usually do not give unless they are asked. If you believe in your mission and programs, then you are doing your donors a great service by inviting them to be part of a ministry that improves the lives of those in need. What can be better or more in line with the joys of Christmas and the gift given through our Lord, Jesus Christ.